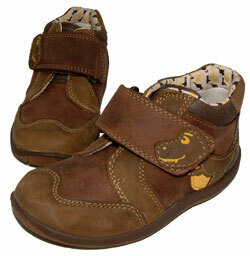 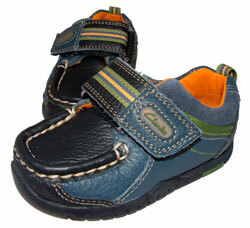 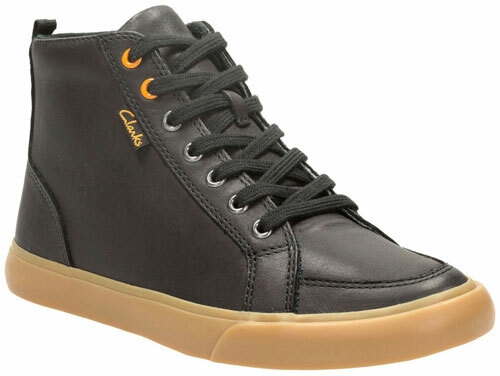 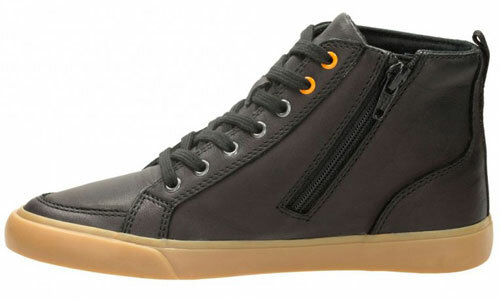 Clarks Club Jive – junior boys boots feature a sporty high-top silhouette with a smart twist. 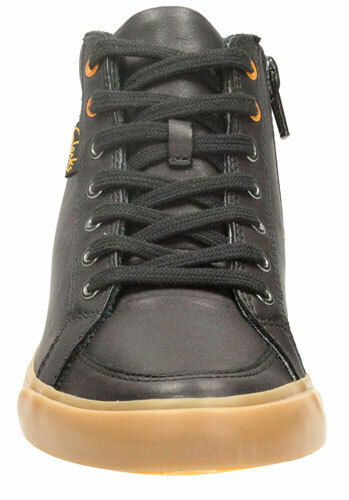 Crafted from black leather with a pop of orange to the lace eyelets and neutral soles, these cool kids kicks shoe great attention to detail. 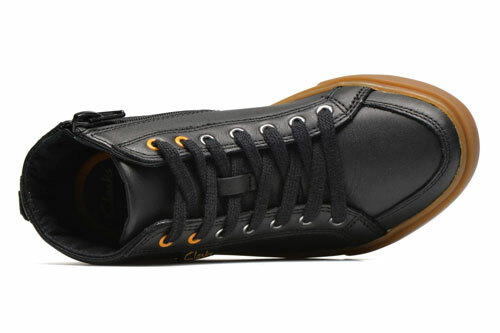 An easy-wearing blend of style and function, they stand on vulcanised rubber soles with a functional inside zip complementing the lace fastenings. 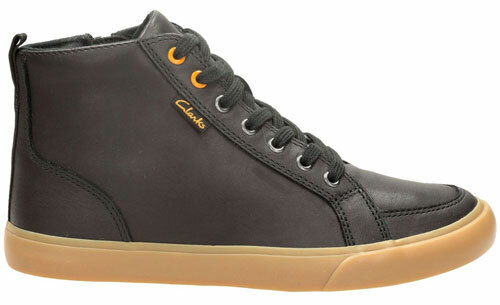 Lined with Agion antimicrobial textiles, the Clarks Club Jive keep feet fresh throughout the day.